Similarly to most states, Florida requires entities that want to function as money transmitters to obtain a licensing. Its purpose is to ensure that the licensees meet all necessary requirements for engaging in such operations. 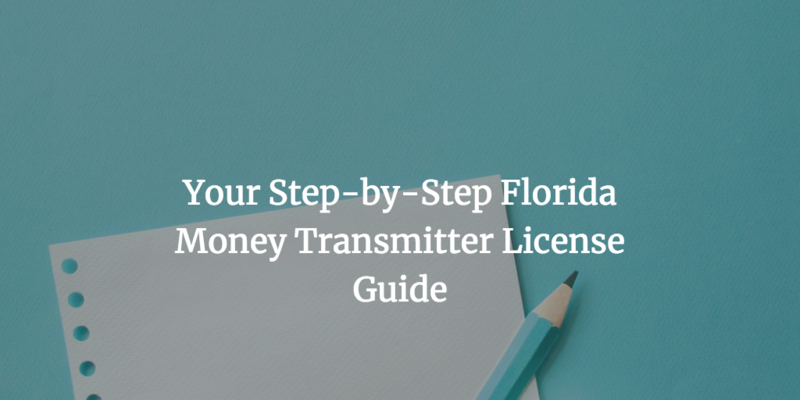 In order to get a Florida money transmitter license, you have to undergo a rigorous process during which you showcase a number of documents proving your experience, financial stability, and overall suitability for the job. Among the criteria that you have to fulfill is posting a Florida money transmitter bond that guarantees your legal compliance. Learn more about the requirements and the process in the guide below. The licensing body that oversees the activities of money transmitters in Florida is the Office of Financial Regulation. By getting licensed with the Office, you will get the right to transmit currency, monetary value and payment instruments. The methods that you are allowed to use include wire, facsimile, electronic transfer, courier, and internet. The starting point for your application process is completing the state money transmitter license application. You need to supply a number of documents to accompany it as well. For Part II applicants (Money Transmitters and/or Payment Instrument Issuers) – financial statements and a range of other financial documents, as well as a surety bond in an amount between $50,000 and $2 million. The cost of your money transmitter license in Florida is $375 for the Part II applicants (Money Transmitters and/or Payment Instrument Issuers) and $188 for the Part III applicants (Check Cashers and/or Foreign Currency Exchangers). If you have already been approved for Part II, you don’t have to cover the fees for operating under Part III. In case you are applying for a license as a money transmitter or payment instrument issuer, you are required to obtain a surety bond. The bond amount is set between $50,000 and $2 million, and is determined by the Office on a case by case basis. You can find the official bond form here. As all surety bonds, your money transmitter license bond aims to protect the state and your customers from potential fraudulent activities you may engage in. If a party suffers damages because you transgressed from your obligations under the Chapter 560 of the Florida Statutes or other applicable legislation, a bond claim can be brought against you to ensure a fair compensation. In order to get bonded, you have to cover a small fraction of the bond amount that you are required to provide. The actual surety bond cost you will have to pay can be as low as 1% to 5% of the required bond amount. How is your bond premium set? Your surety has to take a close look at your personal and business finances, such as your personal credit score and company documents. As the money transmitter license bond in Florida can be as large as $2 million, you are likely to be required to provide your audited business financials. Other factors that can impact the cost include assets and liquidity that you can demonstrate. In the case of money transmitter bonds, it’s important to note that the cost may also be dependent on the type of currency that you want to handle, as working with some is seen as riskier than others. Still have questions about getting your license and bonding as a Florida money transmitter? You can contact us at 877.514.5146.